Tortillas are an integral part of Mexican cuisine. Somewhat like flat bread, they can be stuffed or rolled up into a Burrito, or used to make snacks and baked dishes. 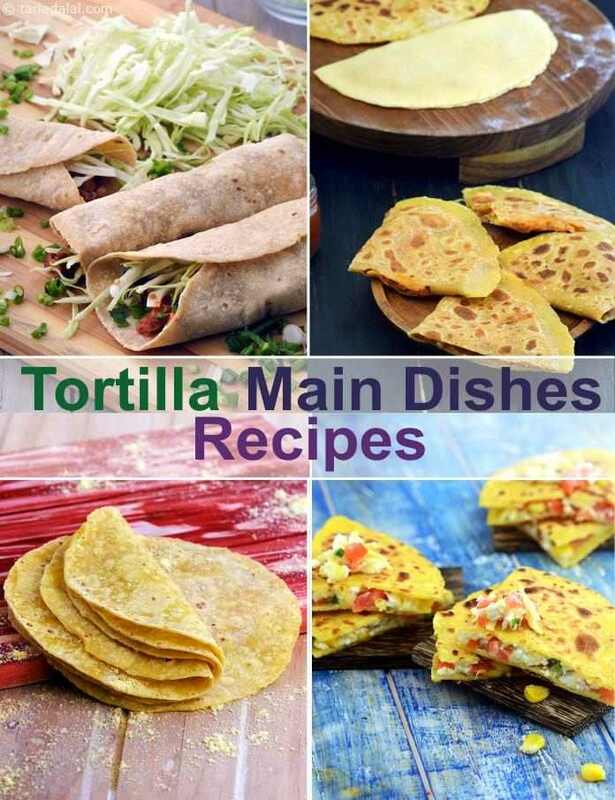 Some of the dishes made using Tortillas are sumptuous enough to be considered as a main meal, as you get carbohydrates from the flour-based Tortilla and enough nutrients from the beans and veggies that are packed into it. This section has a wealth of Tortilla Main Dishes, such as Burritos, Chilli Bean Quesadillas, Crispy Cottage Cheese Mini Tortillas, Tortilla with Refried Beans and Tomato Salsa, etc.